In part 1, we talked about the concept of Lifelong Learning and its benefits, and how it can add balance and wonder to you Life. Hopefully you’re convinced to give it a try, and the only question left is, what do you do about it? The good news is, when it comes to Lifelong learning, there is no shortage of options all you really need to do is to pick just one new thing you want to learn. In part 2 today, we’ll discuss the action steps you might take to get you started on your own journey. People tend to be in one of two situations: Either they’ve been dying to start something but have been telling themselves “Some day, some day” while they run the corporate treadmill, or they have spent so much time buried in work and career they don’t have any idea what else they would want to do. If you’re in the first category, good! You already know what you want to learn, get to step 2. If you’re in the second category, you have a bit more thinking to do. 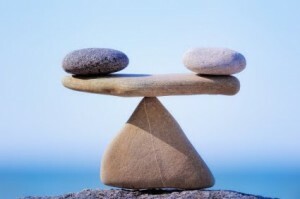 For a start, you might like to think about Life balance, and what facets of Life you’re missing. For instance, some people think about their Lives as a tripartite division of Physical/ Mental/ Spiritual, and then think about things they could learn based on which is missing the most. Find something that interests you. Ideas could be books, the Internet, even YouTube. There’s no real right and wrong here. The idea is to arouse an interest to discover and learn something new. Is what you want to learn a skill, a body of knowledge, or an ability? Each of these would require a different approach. Generally, knowledge is something you could get from audiobooks, videos, lectures, or even reading. For example, if your interest is in mediaeval history, or Shakespeare, or general understanding of genetics or nanotechnology, you could learn a lot just by reading or listening. Skill often requires a hands-on approach. For example, if you wanted to learn how to dance salsa, play the piano or climb a rope, watching a video or reading about it won’t help you get there. Yes, you’ll need some theory but the bulk of it you’ll need to learn by actually doing. It’s not always purely differentiated, too. There is sometimes a mixture too. For example, if you’re interested in cooking more than instant noodles or an egg, you’re going to need knowledge – theory of food combining, nutrition, presentation and texture. But you’re going to have to develop skills too: knife skills, food selection (such as choosing fish, fresh fruit and vegetables), cooking technique, balancing flavours, and food presentation. The Internet is a bit of a mixed bag when it comes to quality of information, but one thing that really helps, especially in the area of learning, is YouTube. If a picture is worth a thousand words then a video could be worth ten thousand. There are many tips you can pick up on a wide variety of areas, from cooking and juggling to finger tutting and educated reviews of the arts. Importantly, on YouTube is where you get to ‘meet’ a variety of people with different hobbies, which will give you ideas for your own learning pursuits. Here’s something that you could start very simply… with just your fingers! Here’s something that maybe a blast from the past… but so inspiring that something so seemingly simple can be so moving. It really is a wonderful world. This is an old video that is nonetheless still inspiring after all these years. It’s not just about not judging people by their appearance, it’s also inspirational because it’s a message that YOU too might have something to give the world that you haven’t yet cultivated. There are many products targeted at adult lifelong learning. One very good example are the course produced by the Teaching Company. This company produces DVD lectures by really good lecturers… not your typical insomnia curers. I have personally taken courses of subjects like mathermatics and physics that scared me in school and actually learnt more than I ever did… and enjoyed myself tremendously in the process. Visit this channel for previews of courses, and even some full length lectures for a taste of something that would appeal to you. Even Bill Gates owns many DVDs from this company, and I have slowly built up a modest collection of fascinating subjects as well. Do you commute to work, jostling on the MRT, packed like sardines? Do you waste endless time looking at passengers who look (and probably feel) as stoned as you are? If so, there’s an alternative to listening to the inane chatter of the radio station DJ or the endless looping of meaningless songs. Audiobooks are excellent for learning. They make commuting hours productive even if you can’t access your book or tablet. I have gained fascinating knowledge from Greek History to Climate Change with zero additional investment of my time. One bonus is audio is often read by the book authors, and I find an additional layer of connection. The inflections, expressions and tone of the author gives me an interpretation as close as he or she intended, and allows me to appreciate the material a lot more. It’s almost as if I was in a classroom or a personal consultation. An oft-overlooked resource is your local community club. It is a wealthy source of courses in your neighbourhood. For example, right now, I just found the Woodlands Community Club facebook page and found these courses being advertised: Hip Hop, Pop and Rock Guitar for Beginners, K Pop, Muay Thai, Zumba Fitness, Cake Making, Hatha Yoga, Cardio Sculpt, Bellydance, Bollywood Dance, Cantonese Opera, Chinese Calligraphy, Conversational Mandarin, Public Speaking, Badminton and Ballet. Surely that’s a pretty diverse selection of choices! Not only are CC courses more wallet-friendly, they are near where you live. More importantly, in Singapore where we tend to be a bit more reserved and private, taking a course in a CC is a good way of knowing your neighbours, maybe even becoming friends. That will foster a sense of community and that’s a good thing! If you have a special interest, you might be able to find special interest groups. For example, if you’re interested in overcoming your fear of public speaking, or developing your communication skills, I can think of no better organization to do that than Toastmasters International. Most community clubs will have a regular group meeting, in which you can find a nurturing, encouraging and progressive environment in which you hone your public speaking skills from zero to hero in a year or two. These quotes are incredibly relevant to the key focus of this blog. Want to stay young after 35, 25, or any-5? Never stop learning!